Florida’s seat belt laws are designed to reduce the impact that personal injury accidents have on individuals and families. Those who are not wearing a seat belt in the event of an accident are more likely to get injured and killed than those who buckle up. Under Florida Law, all front seat passengers are required to wear a safety belt and all passengers under 18 years of age are required to buckle up regardless of where they are seated in the car. The law is subject to primary enforcement, meaning that an officer can pull you over if he or she has reason to suspect that you aren’t wearing your seat belt. Primary enforcement of seat belt laws has been credited with increased seat belt use and compliance, as primary enforcement laws give officers the ability to protect children who are not properly restrained. Yet, the law isn’t perfect. According to an article published in the New York Times, the ACLU recently reported that black drivers are more likely to face primary enforcement of seat belt laws in Florida than white drivers. In some counties the disparity in the number of stops was significant. For instance, in Orlando, black drivers were three times as likely to be stopped for not wearing a seat belt than white drivers. Florida law enforcement has come under fire in the past for racial profiling. In order to track law enforcement behavior, since 2009 officers have been required to report on the racial and ethnic background of people they pull over. Overall, blacks were found to be ticketed twice as often as whites. The researchers were also careful to note that the study in no way suggests that blacks wear seatbelts less often than whites. The report noted that “no evidence supports . . . a finding” that blacks wear seat belts at a rate of 45 percentage points lower than whites. To make matters worse, Miami, Florida police agencies failed to follow the 2009 mandate requiring them to note the race and ethnicity of the people they pull over. It isn’t clear whether Miami agencies will be held accountable for ignoring the law. Seat belt use clearly saves lives, but Florida’s law should be used to protect drivers and their passengers, not to issue citations or as an excuse to subject certain demographics to increased police scrutiny. Until the situation is sorted out, the best way to protect yourself is to buckle up. Furthermore, in the event of a car accident, wearing your seat belt can also ensure that you preserve even more protections under the law. For instance, in a Miami personal injury law case, a person who wears a seat belt may have more avenues to collect a recovery for injuries, pain and suffering, and rehabilitation than a person who doesn’t wear a seat belt. Failure to wear a seat belt could have an impact on negligence rulings. 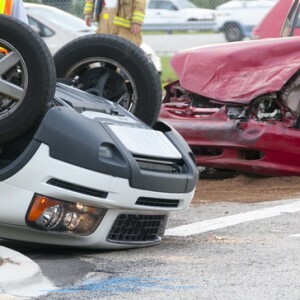 For instance, if a court decides that you wouldn’t have been injured had you been wearing a seat belt, the other driver may not be held accountable for your injuries, even if he or she was mainly at fault for the accident. The Wolfson Law Firm, L.L.P. is a personal injury lawyer in Miami, Florida committed to protecting victims’ rights. The firm encourages the use of seat belts and helps accident victims seek justice if they’ve been injured.